Today among all my baked goods for Super Bowl. 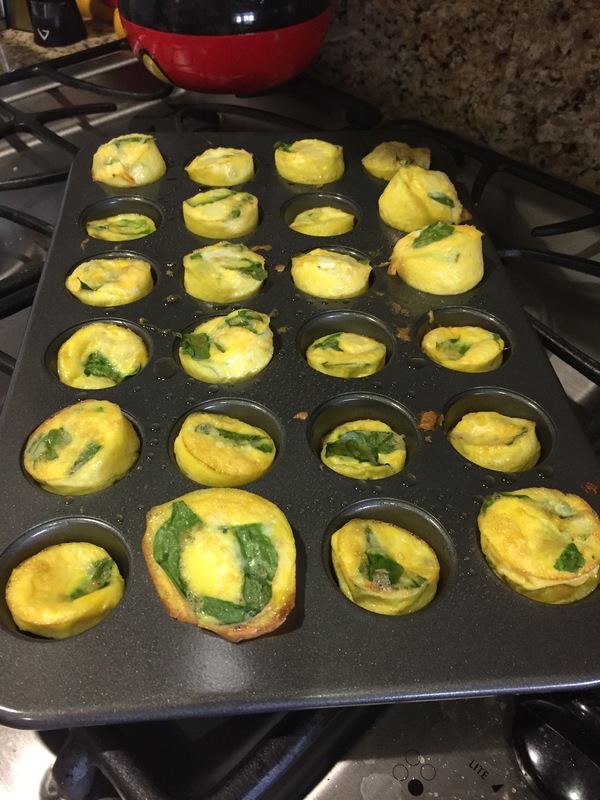 I decided to make a healthy treat my easy Quiche. To make 24 you need 8 eggs add any Ingredients you like. I used chopped onion and spinach and shredded cheese. Set oven to 350 and set timer for 20 minutes. Any easy delicious snack that is kid approved.